For All Who Attended Dr. Mariana Cárdenas’ Keynote On March 20th. First of all, thank you for attending this important keynote address and for supporting Caminos de Agua, we can’t do it without you. With so much important information being sent your way Wednesday night, due to our running over and not being able to pull it all together, we’d like to “connect the dots,” and provide you with this summary. We are very excited to update you in the next couple of days on our incredible week last week to celebrate World Water Day. We had seven events culminating in the signing of an agreement with the Municipal Government to create a Water Plan for the Future of San Miguel! But, before that, we would like to share a response we wrote to a recent news article published in the local paper, Atención, about our Water Monitoring work. An important part of our mission is to educate diverse audiences on extremely complex water quality issues. December 5th has been designated as International Volunteer Day. Over the last year, the number of volunteers involved in our work has grown, and we would like to thank each of you for believing in our work and mission to make safe, healthy, and accessible water a reality for many. Aguadapt - All Waters. All People. Our Research and Technology Development Team was named a finalist in the Mexican James Dyson Award for our proposed water filter system, Aguadapt. For ~$30 USD, Aguadapt lasts for over four years, removes organic chemicals and 99.9999% of all pathogens, is easily installed in common containers, and can be adapted to treat other contaminants. Read on to learn more about our work philosophy, rainwater harvesting programs in local communities, and how our groundwater treatment system will enable us to move from serving hundreds of families to thousands. Additionally, you’ll get a chance to meet some of our staff and learn more about our private water testing services and fundraising campaigns. In mid November, two representatives from Caminos de Agua traveled to Guadalajara for the first ever annual Mexican rainwater harvesting system conference (1er congreso de captación de agua de lluvia). Elena Diek (a former volunteer now working on her master's thesis) and Aaron Krupp (our Research and Technology Development Coordinator) set up a table to promote our educational materials and ceramic water filters. The JWH initiative recognized staff member Saúl Juárez’s environmental leadership in 2016 with a €2500 prize to be dedicated exclusively to his professional development. The grant submitted solicited funding for Saúl to learn from diverse organizations and the work they do. Caminos de Agua wishes you a happy thanksgiving! While the roots of Thanksgiving Day may be in the United States, the act of giving thanks is global. Today, we take a moment to share some of the reasons we have to be thankful as Caminos de Agua. To open our internal news archive to read older articles, click here. Do you want to know everything about our current research on arsenic and fluoride removal? 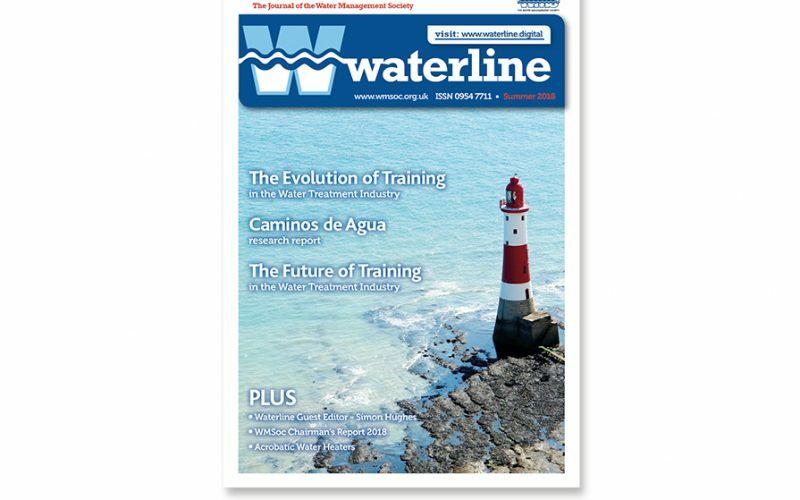 Waterline - the online journal of the Water Management Society in England - recently published an article we wrote about our research and development process.